Help kids identify the color of each condiment. 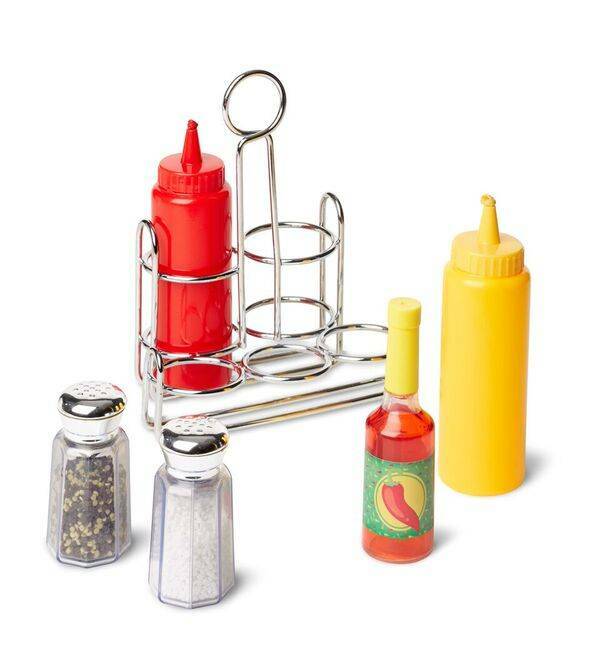 Have kids arrange the condiments by height, then ask which are tallest and which are shortest. 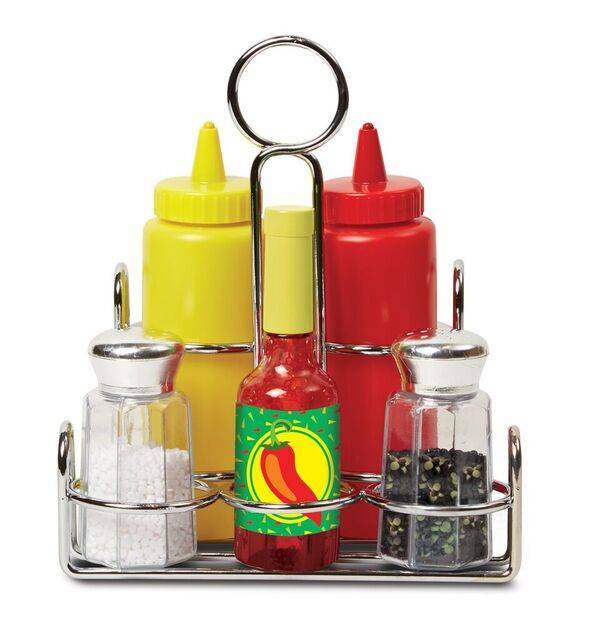 Place the condiments in the caddy and have kids memorize where each one is, then close their eyes. Rearrange two, then ask kids to look again and pick out which switched spots! Encourage kids to imagine owning a restaurant. 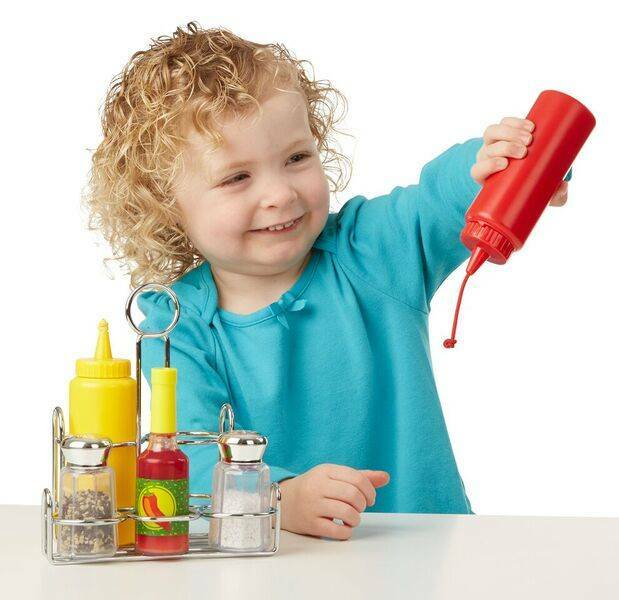 Help them draw and cut out a hamburger or other pretend food, then order a meal with specific condiments.